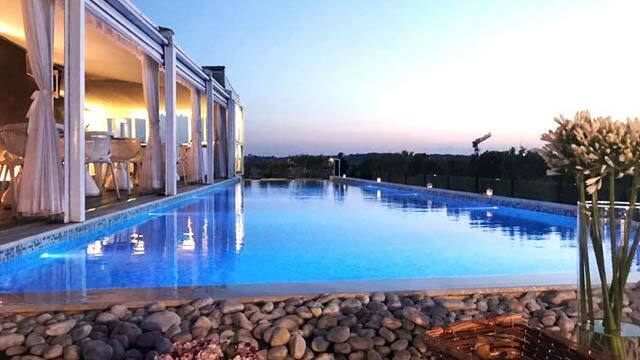 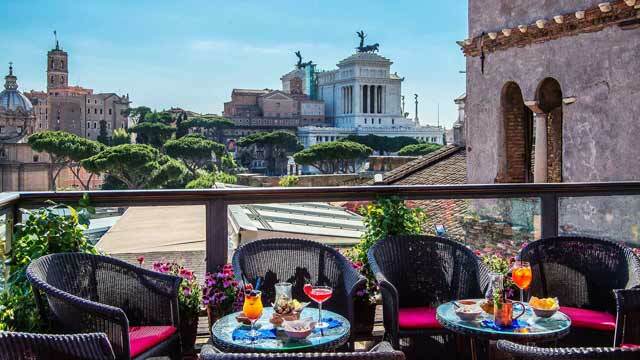 The Posh Terrace at Palazzo Naiada Roma is one of the most luxurious choices among rooftop bars in Rome, especially considering it comes with a fantastic rooftop infinity pool, which is not that common in this city. 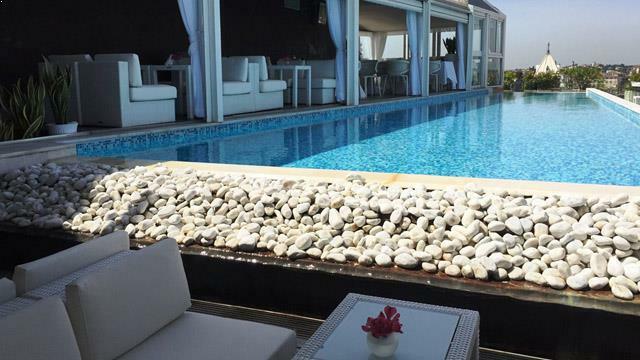 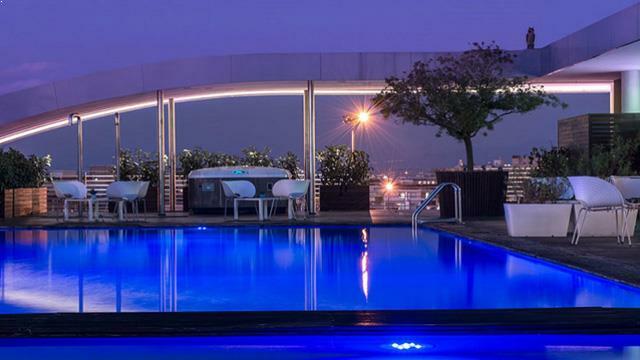 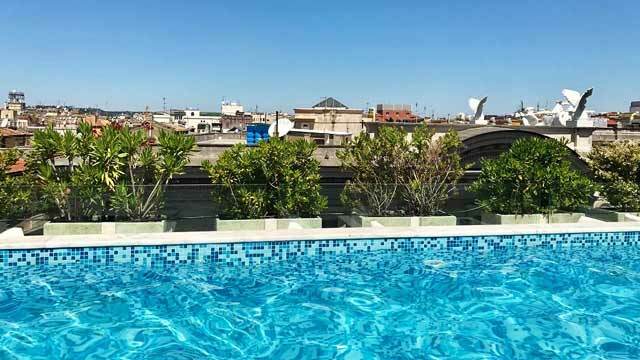 One of the most popular rooftop pools Rome has to offer. 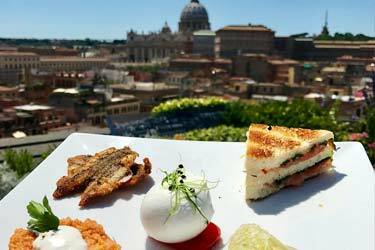 Add amazing views across Rome's skyline and surroundings and you know the settings are there for a great experience. 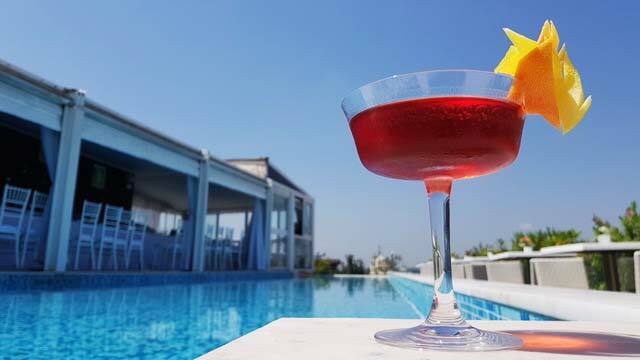 Relax in some of the comfortable poolside lounge furniture and private cabanas or grab a table under the shady awning. 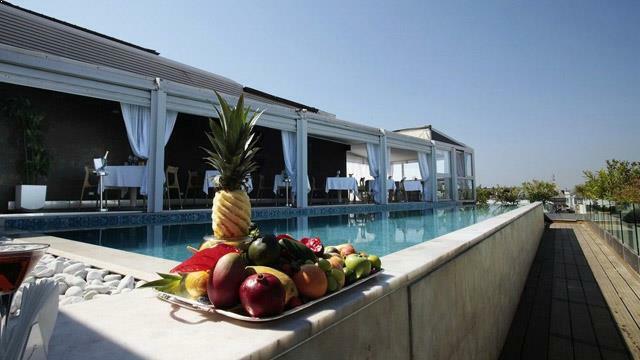 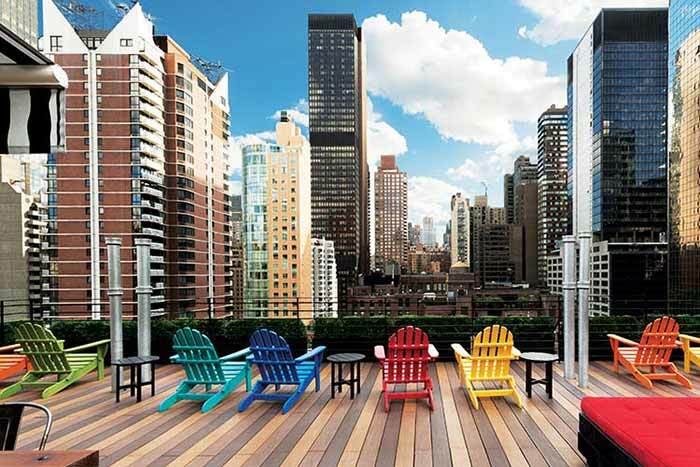 At the terrace you can enjoy both food and drinks. 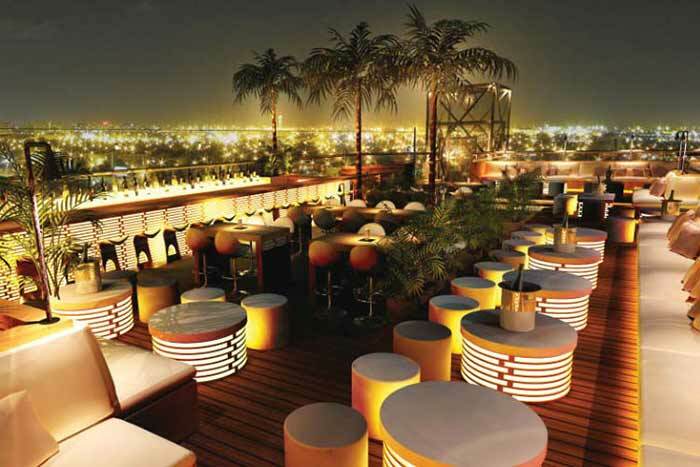 The rooftop bar serve lovely cocktails, and various fish dishes and Italian bar bites. 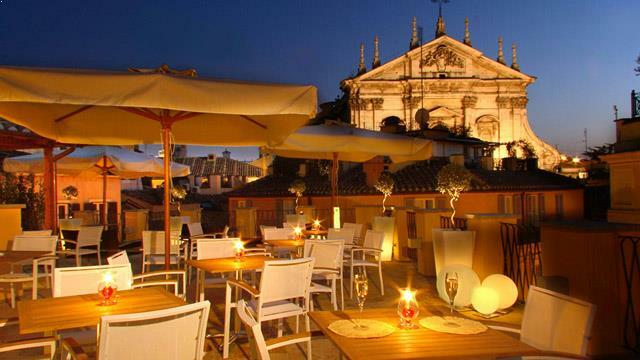 Posh Terrace is a rooftop bar in Rome with an incredibly luxurious feeling (as the whole hotel), with an elegant decor and attention to detail. 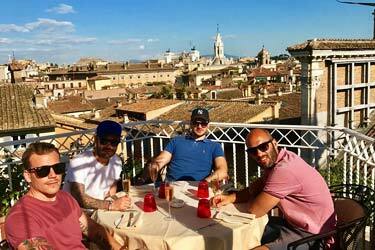 And if you like a beautiful sunset, there are not many better places in the world for it than here. 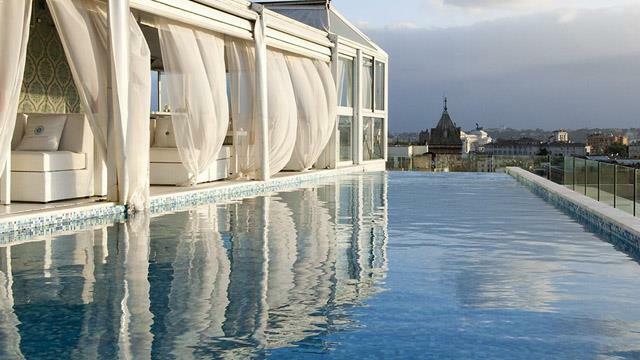 Tip: If you want to fully enjoy the rooftop pool and swim with views of the Eternal City, book your stay at the 5-star Palazzo Naiadi. 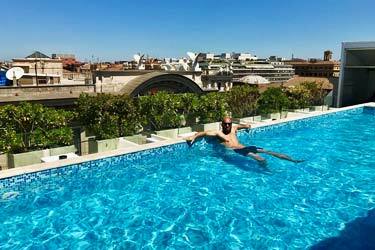 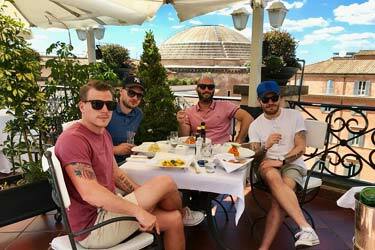 Read more about the day we spent at Boscolo Exedra Roma, with lovely views, swimming and lunch.